NYC & DC: Posh Party With Us! April 16, 2015 April 16, 2015 Categories Community, EventsLeave a Comment on NYC & DC: Posh Party With Us! Who is ready for a night of fashion and fun? We’re comin’ at ya, New York and DC! Join us for not one, but two LIVE Posh Parties where you can mingle with each city’s most stylish, enjoy a tasty cocktail, and get to know our CEO and team. Plus, there are going to be raffle prizes. And if you bring a friend who is new to Poshmark, you’ll be given an extra entry. You won’t want to miss it! Most importantly, let’s talk about what we’re wearing. For our New York Posh Party, come dressed in your best “Work Week Chic” attire. Whether that means gorgeous statement jewelry and killer pumps or a sleek blazer and a white button-down, get ready to showcase your amazing style. 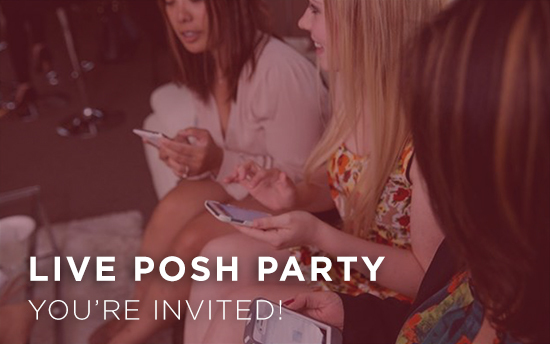 For our DC Posh Party, show off your best “Insta-Ready” fashion. Whether that means a pair of killer heels and a bold blazer or a glam cocktail dress, we would double-tap heart your #ootn. Don’t forget to RSVP. Space is limited so hurry and snag your spot! Can’t attend in person? Party with us in the free iPhone, iPad, or Android app and on the web from wherever you are.